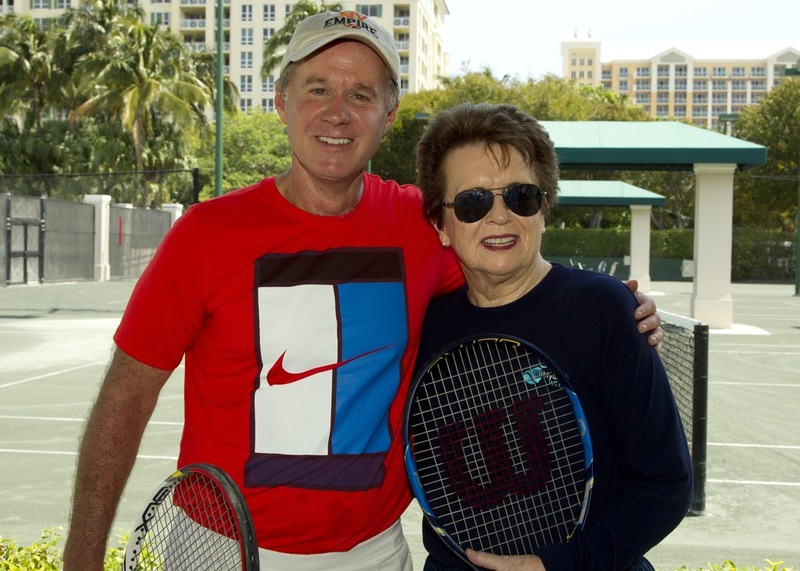 While the current ATP tour tennis professionals battled it out just down the road at the Miami Open, select Citi Cardmembers were treated to a once in a lifetime experience, a tennis clinic taught by champions Billie Jean King and Patrick McEnroe. 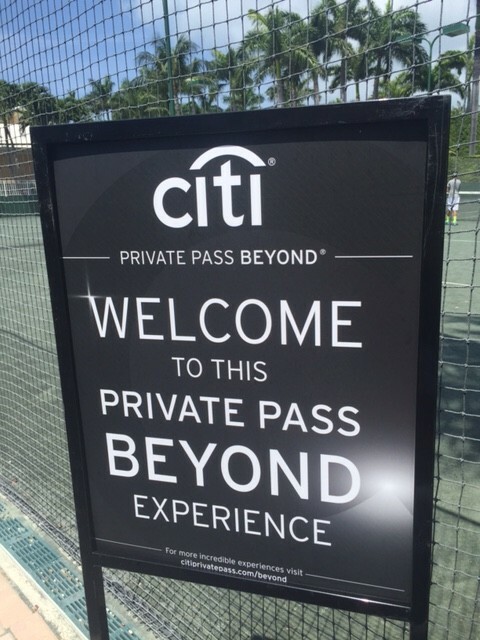 The Citi Private Pass Beyond Legends of Tennis event, held at the Cliff Drysdale Tennis Center at the oceanfront Ritz Carlton Key Biscayne, was almost too good to believe. 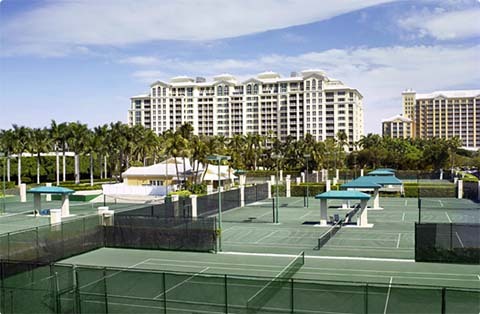 For $110, only $20 more than an hour long private lesson at the Ritz, I had the opportunity to be instructed by two tennis greats. 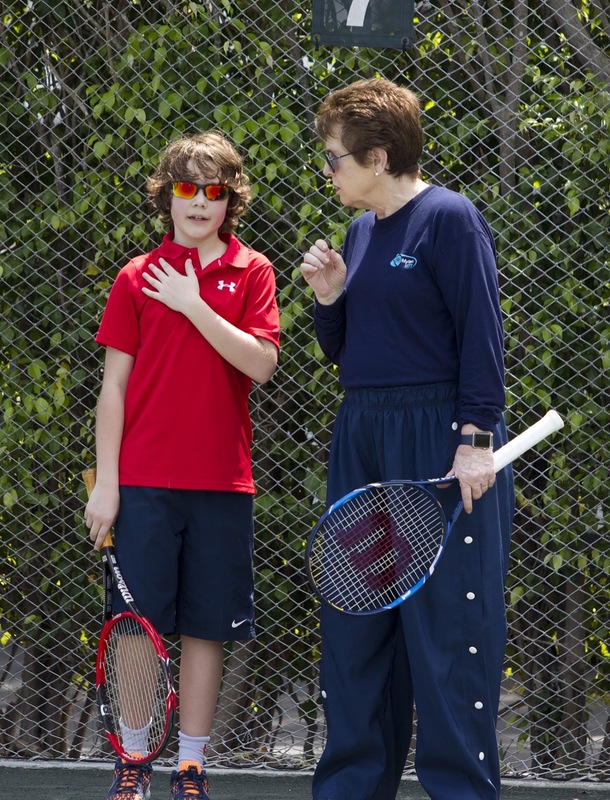 Patrick was very friendly and warm– you can definitely tell he is loving dad to his daughters, one of whom was taking a lesson a few courts over during the event. 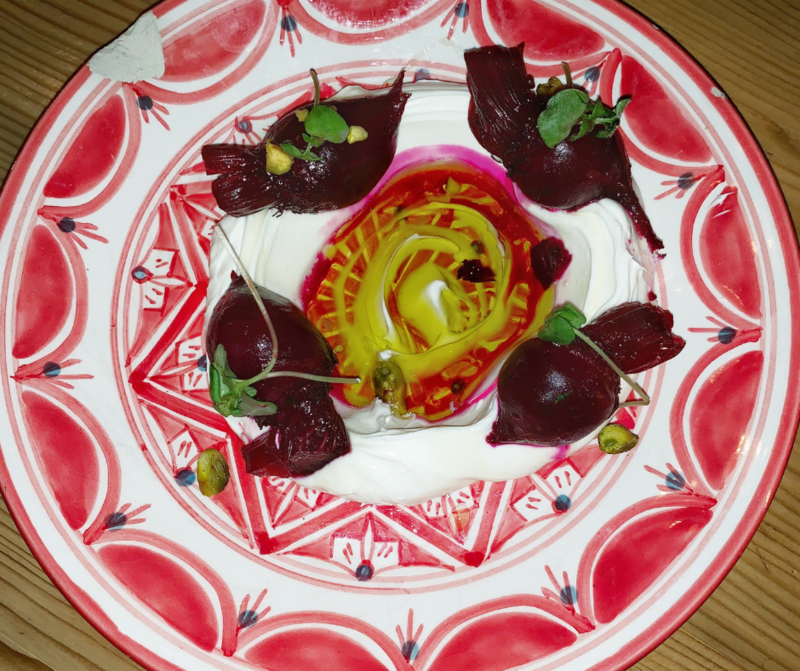 Billie Jean was very approachable as well, she made the effort to walk around and shake each guests hand upon arrival. 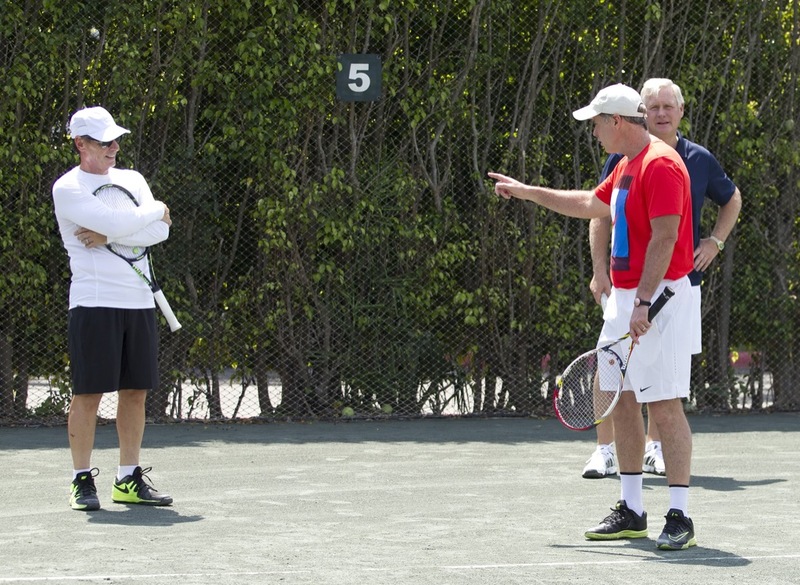 Patrick McEnroe watches me hit on far court. 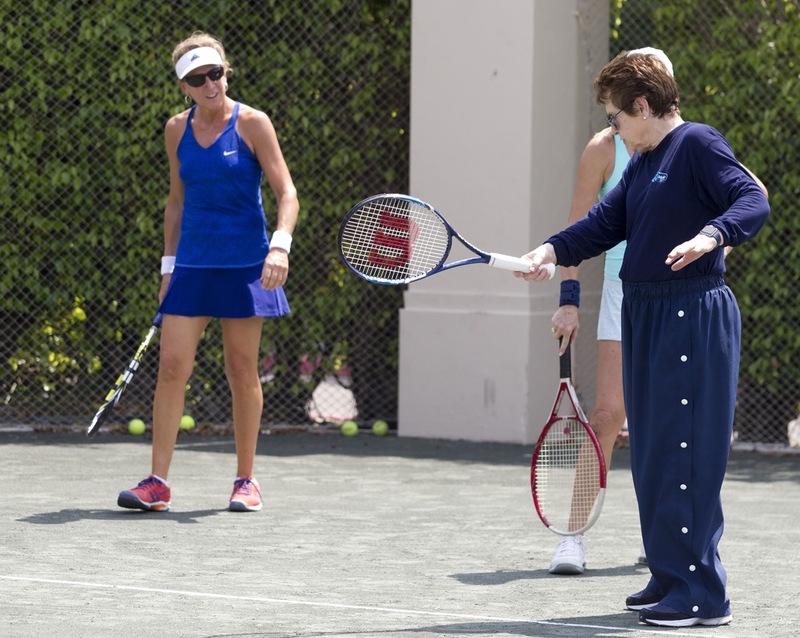 About 30 participants were split onto courts of four people where we were run through drills by Cliff Drysdale tennis pros. 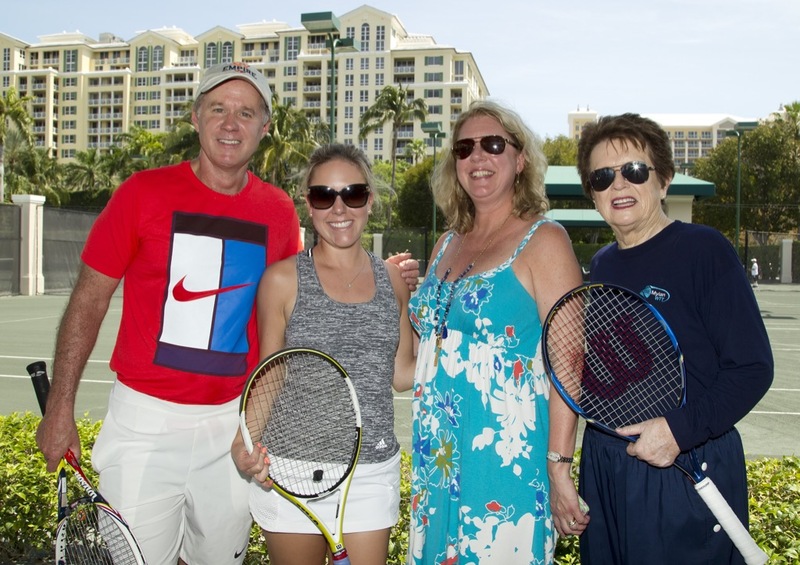 After greeting and kindly posing for photos with each guest, Patrick and Billie Jean made their way through all the courts stopping to watch strokes and give pointers. 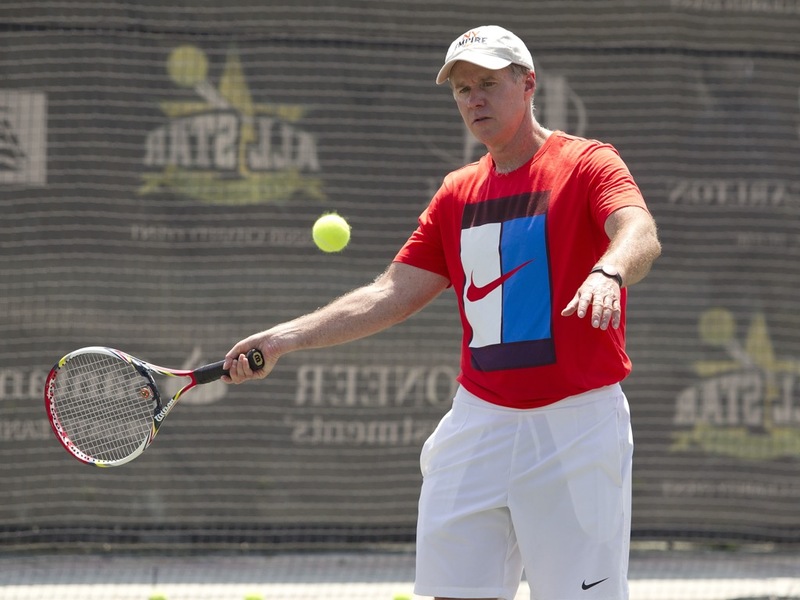 A little nervous to hit in front of Patrick, I somehow managed to hit four beautiful down the line forehands as the pro moved me across the court. 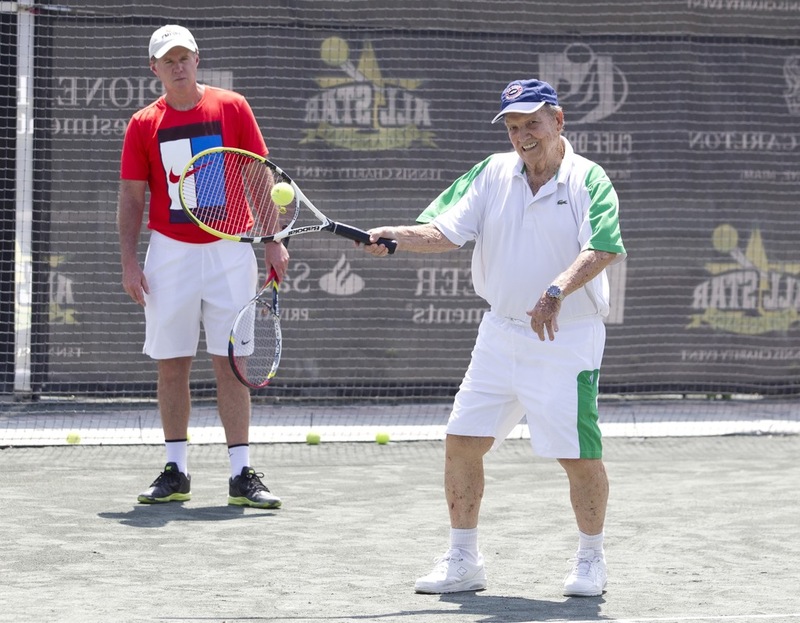 As far as my backhand is concerned, Patrick took me aside to stress the importance of dropping the racquet back early and low enough to get under the ball. He also was quick to point out a habit I have of making a looping backswing, something that definitely takes a second too long and can leave me making late contact with the ball. 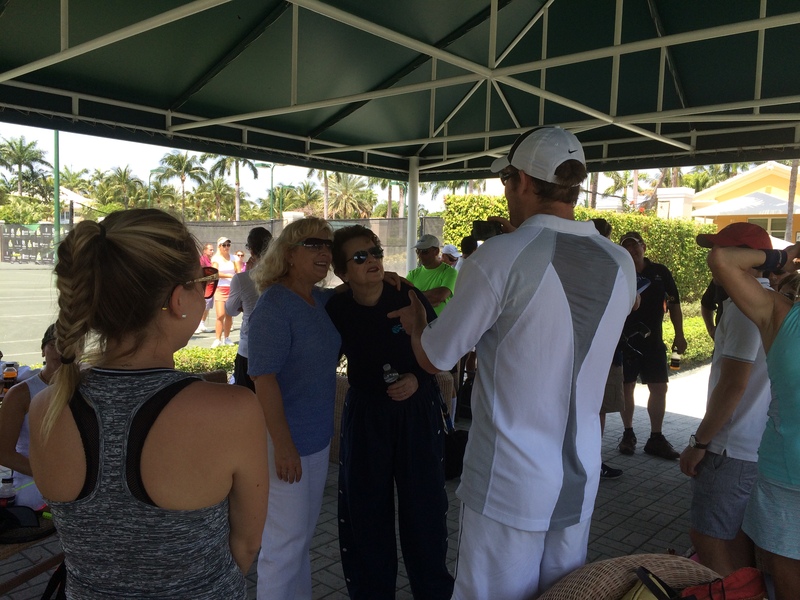 Patrick also gave me some good doubles strategy for my tennis league–which I’m only going to share with my team! 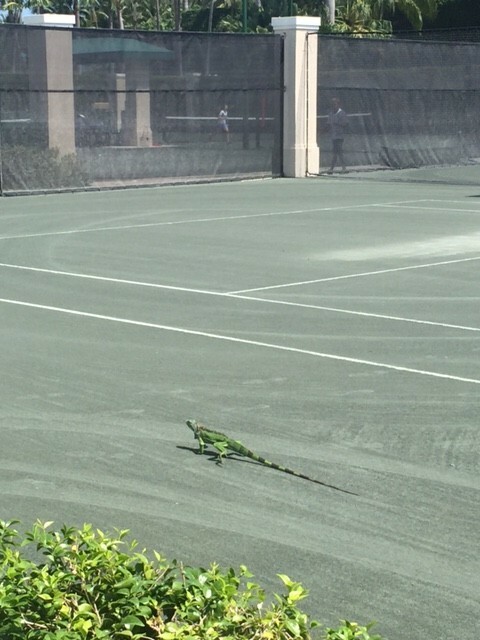 Billie Jean helped me a lot by pointing out that I may be too anxious to hit the ball that I don’t take the time to stop and set myself up properly. Has anyone else ever run through an approach shot they want to put away and slammed it toward the back fence? Ding! Ding! Ding! 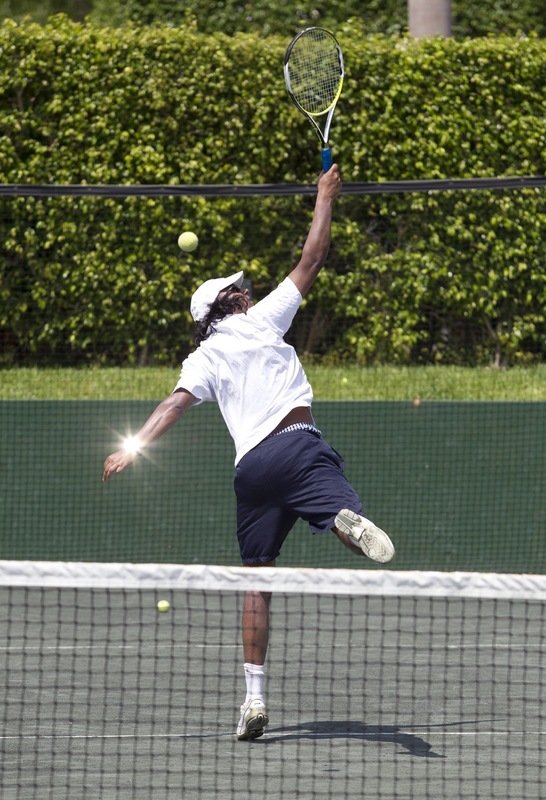 Apparently I also “bounce” too much on the court, so bottom line I need to settle down. 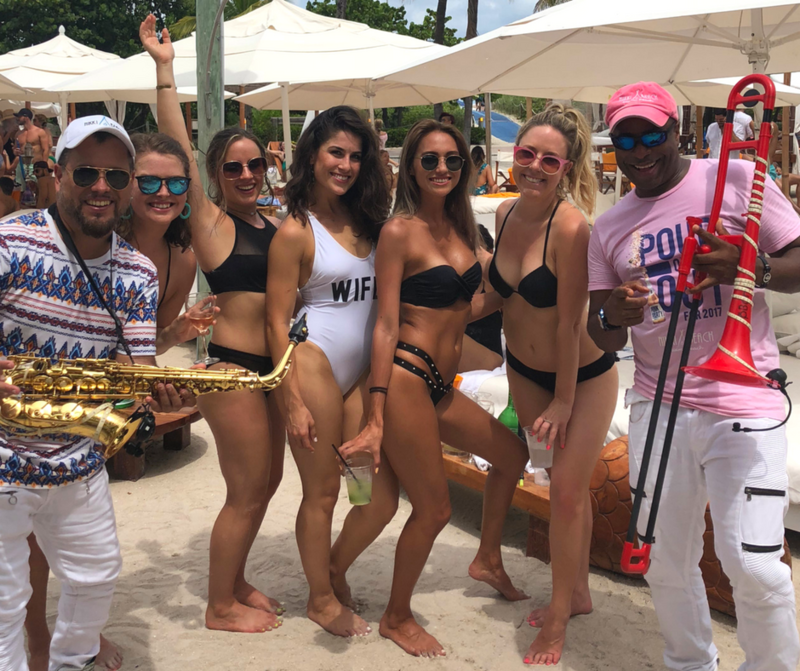 After sweating it out for a few hours in the Miami humidity, players were treated to a post-match reception complete with cold beers and Miami favorites like Cuban sandwiches and guava empanadas. During a Q&A session, the pros weighed in on many topics including sponsorship deals, how the sport has evolved, prize money, and memories of their careers. 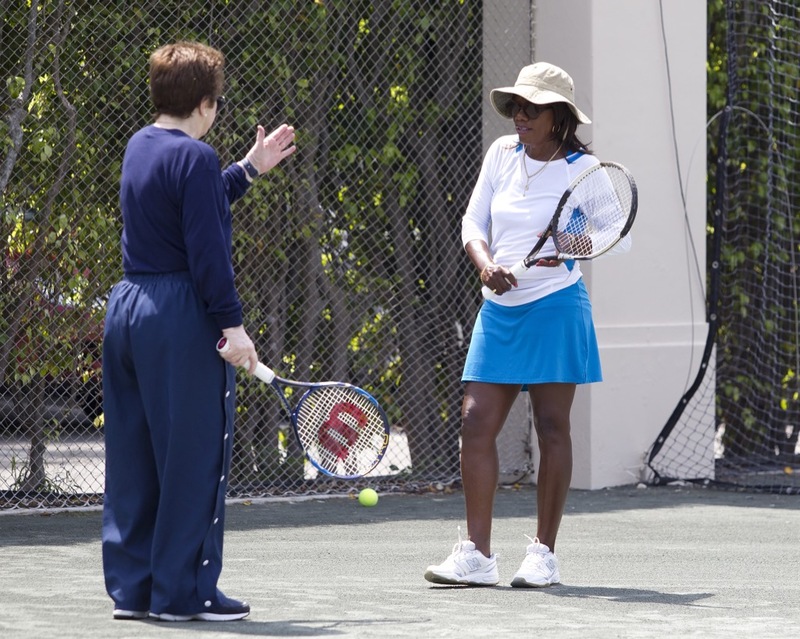 A topic that really resonated with the group was the future of American tennis and parenting in general. 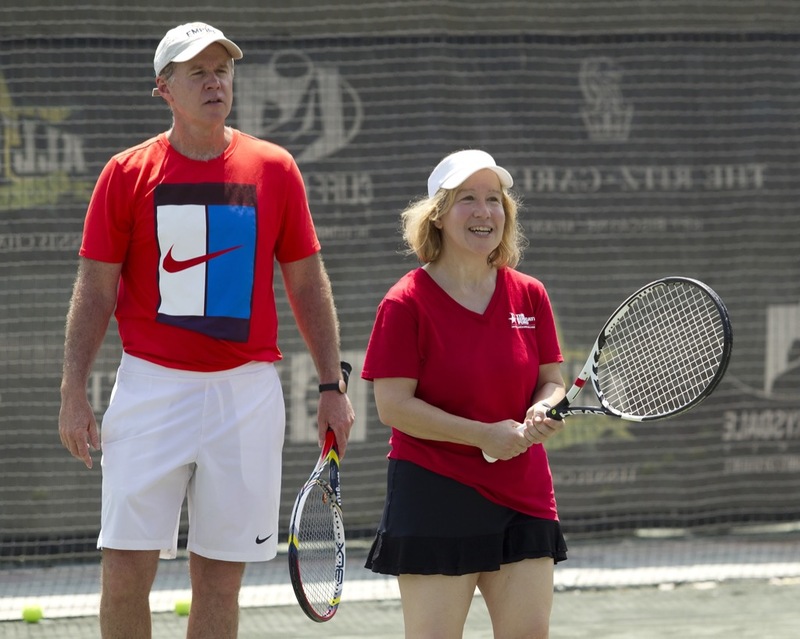 With so much pressure put on children by college admission and helicopter parents, Billie Jean and Patrick stressed that if kids get to the point where they no longer enjoy playing due to pressure, then they should stop. 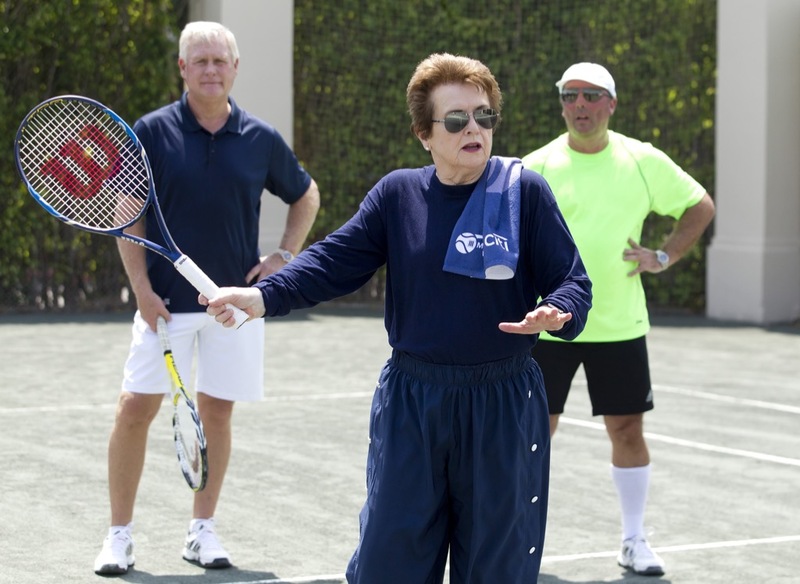 Billie Jean admitted that no one in her family played tennis and her parents didn’t pressure her at all to compete. 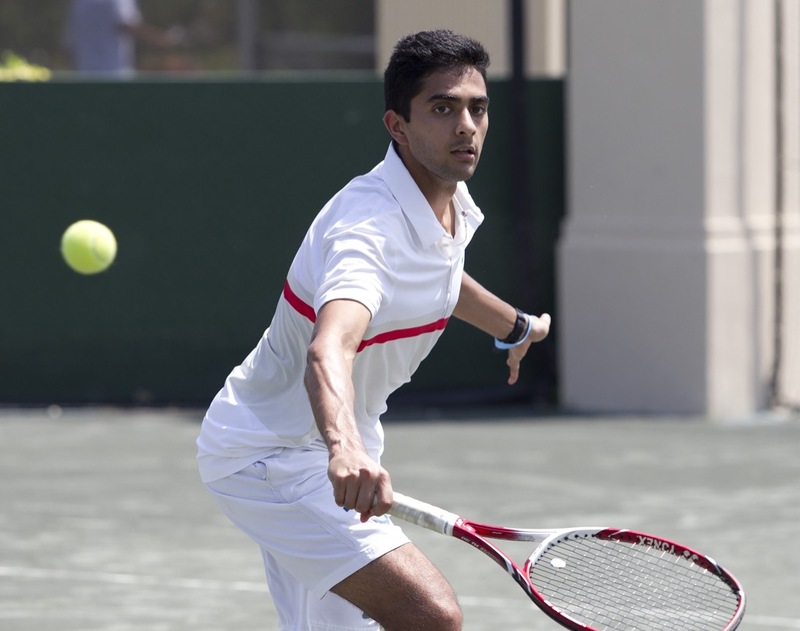 Patrick and Billy Jean have great relationships with many of the competitive juniors, and the following players are the ones who they think could make it big.